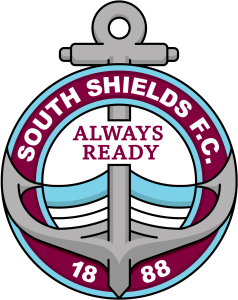 Strike pair Carl Finnigan and Gavin Cogdon could be in line for a return to action when South Shields host Hyde United in the Buildbase FA Trophy on Saturday. Finnigan is available again having served a two-match suspension following a sending off in the league trip to Hyde last month. Cogdon, meanwhile, is back in contention after missing the last seven matches with a hamstring injury he sustained in the Emirates FA Cup loss to Stockport County in September. Finnigan is back after serving his second suspension of the season. He is raring to go ahead of Hyde’s visit on Saturday. The striker said: “I’m absolutely gutted to have had two red cards this season. “It’s the first time it has happened to me in 15 years, and I’m devastated about it. “Unfortunately, the way I play means there’s always going to be a chance, because I work so hard and play near to the edge as I’m trying my best to win games. “I need to manage it a bit better without changing the way I play. “I’m so passionate and desperate to win every game so much that sometimes I can get caught up in the moment. Finnigan is also feeling fitter than ever. He added: “I want to play every game so it’s no good being sent off. “I’m 32 going on 23, or at least that’s the way I feel. Read a full interview with Carl Finnigan in Saturday’s match programme.